Successfully Added Portable Wireless 3G WiFi Router + Power Bank - 5200mAh, NAS to your Shopping Cart. 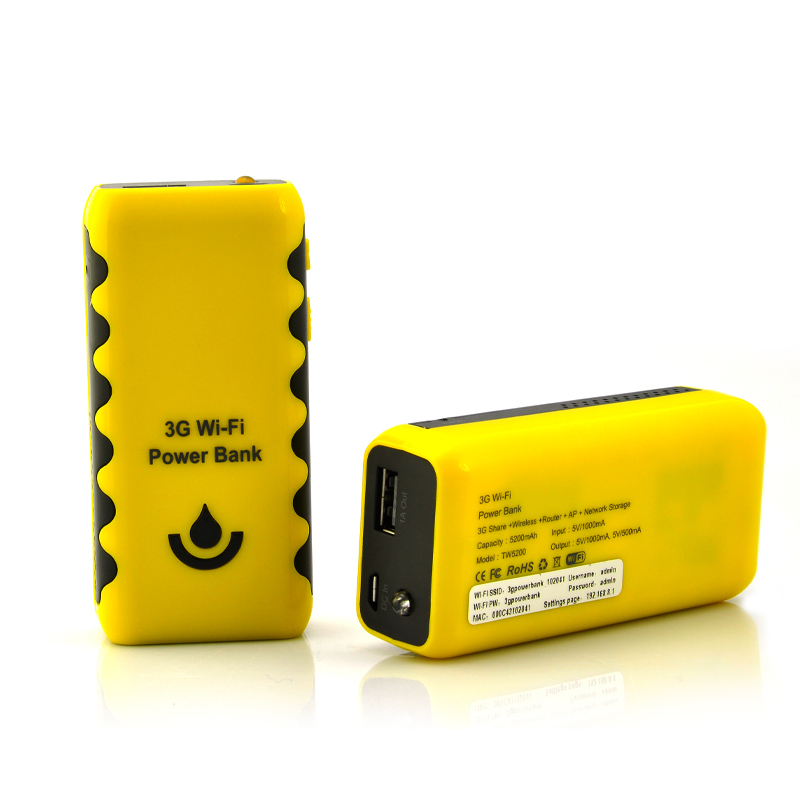 Portable Wireless 3G WiFi Router with NAS and Power Bank with a battery capacity of 5200mAh is a great diverse accessory that can be used as an access point and as a charger for your phone. 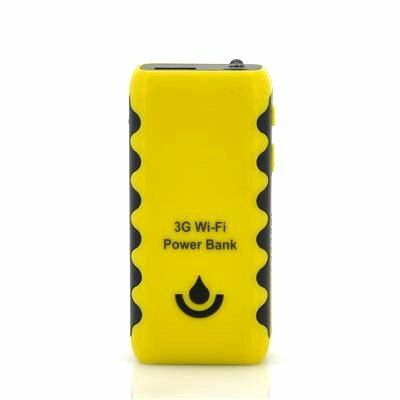 Perfect for the business man or the traveler, this wireless 3G WiFi router that doubles up as a power bank is a lightweight and portable device. Traveling from place to place, use this 3G WiFi router with the hotel or guest house’s RJ-45 LAN line to turn it into an access point so that you and your friends can all share the connection. Phones, laptops and other wifi enabled devices can all be simultaneously online without the need of further LAN lines due to the router transmitting frequency 2.4GHz. Also, by plugging in a portable hard drive / USB memory stick into the USB port, the stored data will be wirelessly accessible right over the wifi signal using NAS. This portable wifi router also has a convenient 5200mAh quick charge station that provides quick recharging of your portable electronic devices as well as powering the WiFi signal, making this a truly portable device. In addition, in areas where no Broadband cable is obtainable, you can either connect a 3G USB dongle or even connect your 3G Phone to the Wireless router and broadcast your 3G internet over the Portable Router to other devices to get internet anytime and anywhere. A great portable device to be used especially when on your travels. This product is in stock and can be dispatched within 24 hours of ordering with a 12 month warranty. Brought to you by the leaders in wholesale electronics and WiFi router, Chinavasion.